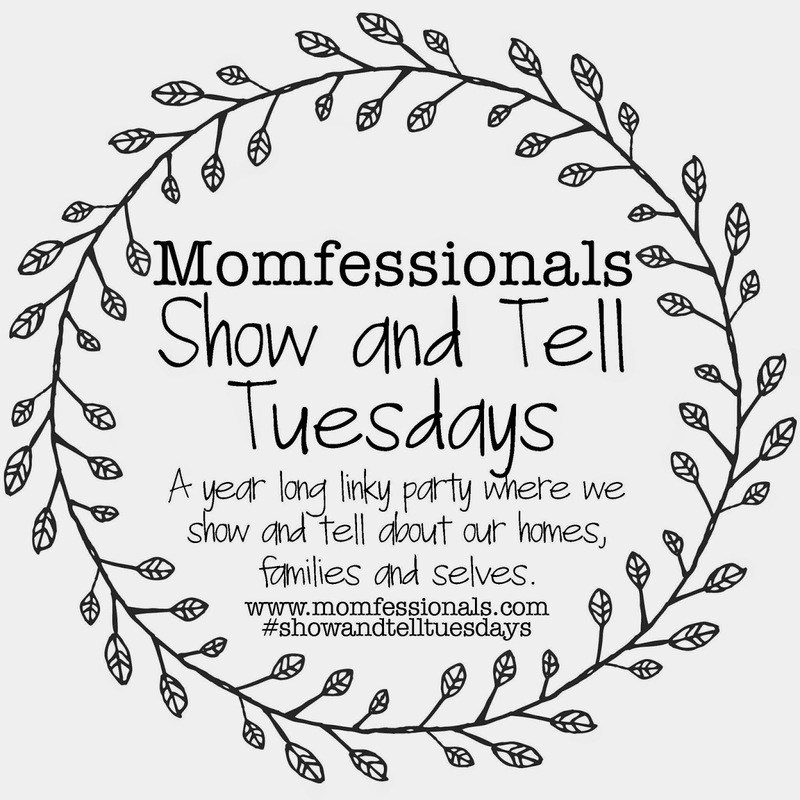 Today I'm linking up with my girl, Andrea, for Show and Tell Tuesday! We're all sharing our favorite vacation EVER!!! If you polled my children, they would without a doubt say that Disney World was their FAVORITE VACATION EVER!! I think in regards to kiddos and the ages mine are Disney World was an absolute BLAST!! Days 5 and 6-here. By this point, everyone had warmed up to characters. Thankfully! And our final day of departure that turned into over eight hours at the airport just the kiddos and I solo and eventually led to a cancelled flight and night in a hotel minus Tab (who left on an earlier flight for work). It's a crazy story that's hilarious now. It's only taken me about eleven months to see the humor in that. hahaha! Another family favorite is the BEACH!! We've been going to the Destin/Sandestin area for years. It's a great place to take your children to vacation. Super family friendly! Tab and I took our first trip together there with our friends, the Cox's, in 2008. 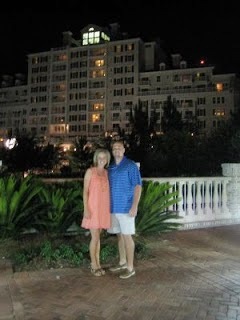 We stayed at a condo in the Sandestin Resort. BEAUTIFUL!!! 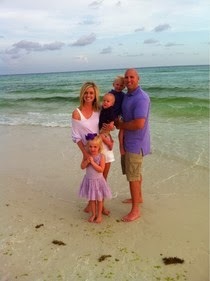 We had a blast...so much so that we went back the next summer with them, Whitney's parents, and our kids. (We had Ebby Lee in April and vacationed in September. I had recently found out we were pregnant again.) This year we stayed in a house in the Sandestin Resort. It was beautiful...4 bedrooms, 4 baths...plenty of room for our crew. It was difficult taking a little baby, but there is SO much to do with little kids. The perfect family place!! 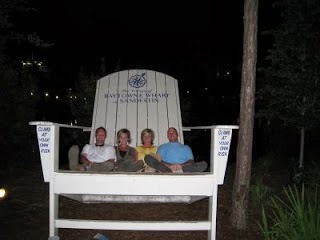 In 2012, we took a Destin vacation with Tab's sister and her family and Tab's dad/Marla. Our kiddos were the perfect age to start enjoying a beach trip and all the fun that goes along with it! (Except that Nixon HATES the sand...one tiny problem.) Our kiddos loved the family adventure place. There were tons of little kid rides. We went to dinner several nights. We did a LOT of swimming at the pool. And...when we could keep Nixon happy we spent some time at the beach. :) Can I add I was pregnant (again...ha!) in this picture? haha! We stayed in a condo right on the beach....it was PERFECT! Every year we've gone we've found our lodging through www.vrbo.com. (vacation rentals by owner) It's a great site where you can actually see the condo/home you're interested in renting for the week. I highly recommend it!! It's never done us wrong! The Slaughters have many places on our "Must Visit" list, but I can guarantee at least every few years...we'll be making our way back to the white beaches of Florida. We've made some AMAZING family memories there already and I look forward to us making many many more!! Tab and I have been to Hawaii twice lately for football games. The first year I was big and pregnant and days away from not being able to travel. It was the perfect little baby-moon before Bowen arrived! 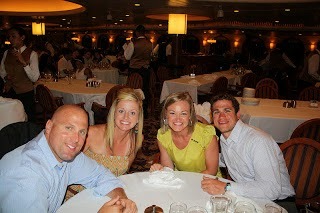 A couple years ago, we went on a cruise to the Bahamas and Key West with my cousin, Whitney, and her husband. Whitney and I grew up just thirty minutes away from each other. We were super close. We love them so much and being nine hours away just don't see them often enough. This vacation was a blast!! Tab had a little business trip to Boston and I tagged along last summer. Apparently that's how Tab and I get away..BUSINESS TRIPS! haha! Boston was the perfect little getaway...food, weather, and the cutest city! Here's our trip. Tab and I just went to Deer Valley a couple weeks ago. It was a work trip but it was 98% vacation. SO NICE!! Check it out here. I'll be joining Andrea again soon and you should too!! I love a good vacation post!!! I love, love, love seeing where you guys have been! My goodness y'all have been on some great trips!We might need to check out your Destin resort. We are wanting to take Carter to the beach this summer, and that might be the place! Oh Disney is the best!! I love it so much, but then it is hard to beat a good trip to the beach! I went to Disney for the first time last year (I was 20) and it was so much fun!! Glad your kids loved it! I love Florida, especially Destin! Funny how the vacation I decided to share is a Disney vacation and we don't even have kids yet. I guess we are just kids at heart :) I love how close your little family is. It looks like you all have made some really good memories over the years. I don't know if yall have ever adventured down the beach, but our family stays in Seaside/Watercolor/Rosemary area. It is just past Destin. I would def recommend at least driving down there! Its a beautiful area with a little more privacy! We looked into that this year but I was told its be better when all the kids could bike themselves? You think that's true? I agree!!! It's gonna be FUN!! Oh girl! Let's talk! You'd all love Destin! That area is one of our favorites! No matter where we stay we always hang out here one night. We love it too!! That's great that you guys go down ever year! Disney is a blast no matter how young or old you are! I went when I was in high school for the first time. I loved it then too! Two great trips but so different...one you leave a little tired and the other you leave with a sunburn. :). Hahaha! We went to Destin a couple years ago and it's great! Such a fun trip. I seriously LOVE Destin!! My husband I got married there in 2007! We have been going for many years and I am so looking foward to being there again in July! 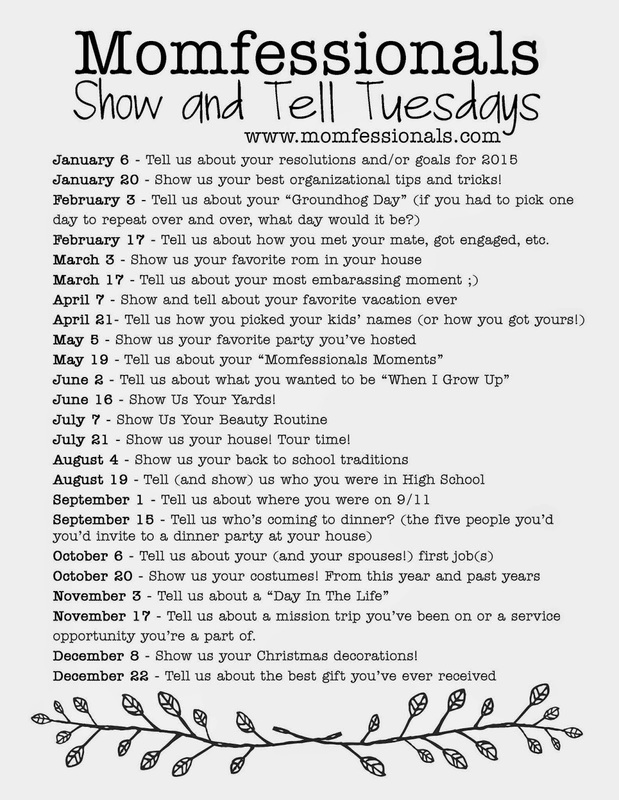 We have a week planned at Disney followed by a week in Destin! What a fun summer you're going to have! Enjoy it!! A Disney cruise is definitely on our to-do list. Enjoy it!! Disney and the beach - my favorite vacation spots! We go to Disney every other year and the beach on the years in between. We love Destin, but I'm a Bama girl so Gulf Shores/Orange Beach has to be my fav. Disney is the best!! Loved going there as a child :) Have you ever been to Daytona? Only like an hour from Orlando and it's really nice there now! Highly recommend staying at Ocean Walk. There's tons of pools, indoor putt putt, connected to a shopping center with a movie theater, restaurants, etc. That way you can always fit in Disney & the beach! Destin was one of my favorite vacations too! So pretty!